By regularly creating back-up copies of your files, the Data Loss Prevention feature will keep them from becoming corrupted by encryption malware. The brand new back-up routine ensures that data backups don’t interfere with the user experience in the system. 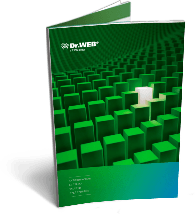 Dr.Web uses system resources sparingly to create backups of any size! Go to the ‘Tools’ menu to turn on ‘Data loss prevention’ and configure the parameters of the backup storage containing your important files. Customise security parameters individually for each user profile on your computer, and manage profiles with ease. Create a custom schedule to back up your valuable data. 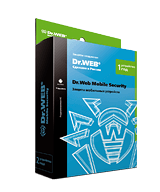 Please note that Doctor Web’s anti-virus laboratory and technical support engineers offer free decryption services only to users of commercial Dr.Web licenses. Find out more. This course describes how to configure the Dr.Web anti-virus to protect a system against Trojan.Encoder encryption ransomware. The course provides detailed information on mistakes made during the configuration process that can result in infection. Here you can also find Doctor Web’s policy on free data recovery and recommendations on how to protect computers from encoders. What do I do if my files have been encrypted by an Encoder Trojan?